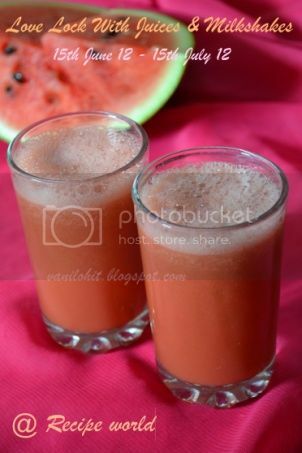 Summers has reached its peak by now in many places and everyone wishes to have something cold and refreshing to beat the heat,Isn't it?? 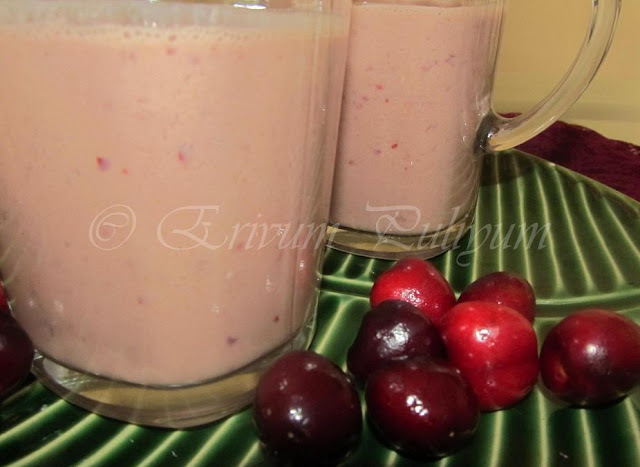 Here the heat is increasing day by day now,and so made this flavorful lassi.Lassi is always an inviting drink to us and recently we started to get fresh cherries.So added these fresh cherries to the drink.There is no much change in the taste as such just added a unique color to it.Hope u all will give this a try & enjoy !! 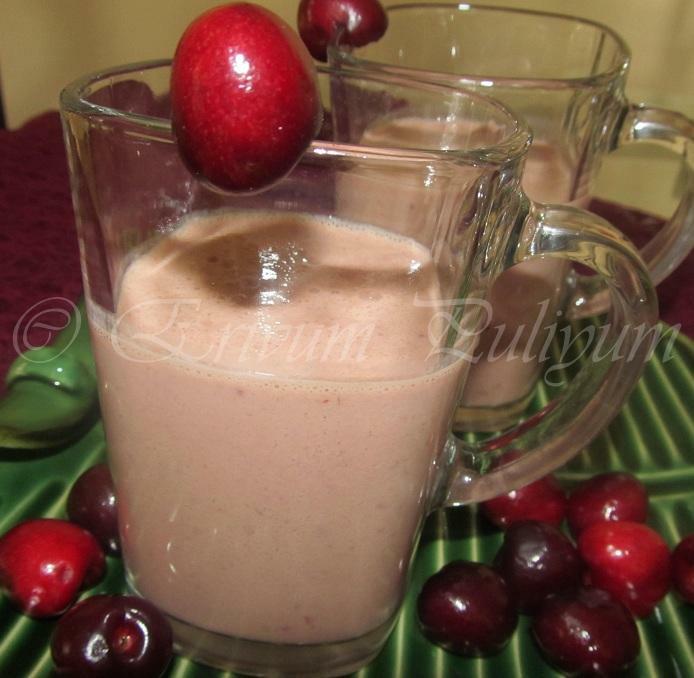 -Wash the pitted cherries,and blend the cherries in a blender without water till smooth. -Whisk the yogurt and water together. -Add the blended cherries,sugar and yogurt mix. -Pour in glasses & serve chilled !!! Wow, this is such a healthy lassi and a creative one too. thats a nice idea, i recently made milkshake with cherries, lassi sounds interesting,sure will give it a try...nice clicks!! 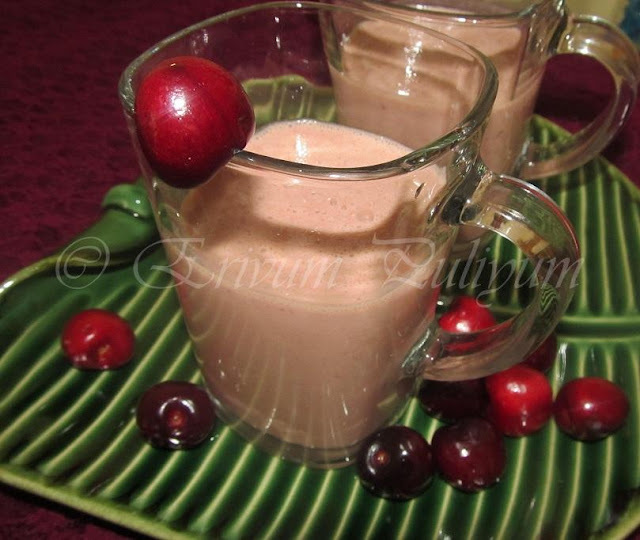 interesting recipe... refreshing and delicious..
Lovely lassi using cherries! 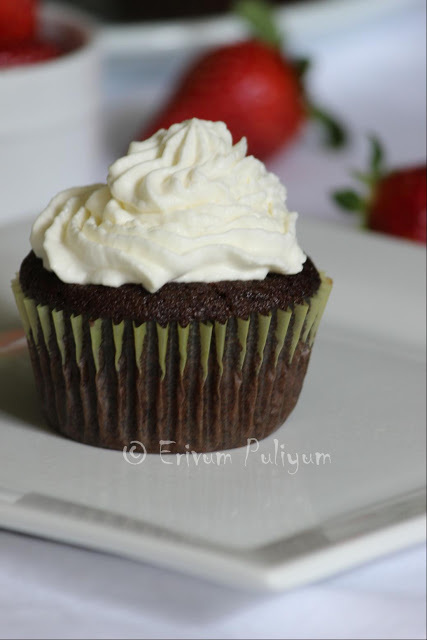 Nice recipe Julie..you can link it to my event! Cherry Lassi wow !! You just reminded me of the bag cherries I bought 3 days back..heading to the fridge !! Never heard of cherry lassi...looks refreshing..
Nice and refreshing...I am missing all the summer drinks because it is winter here in Brazil. 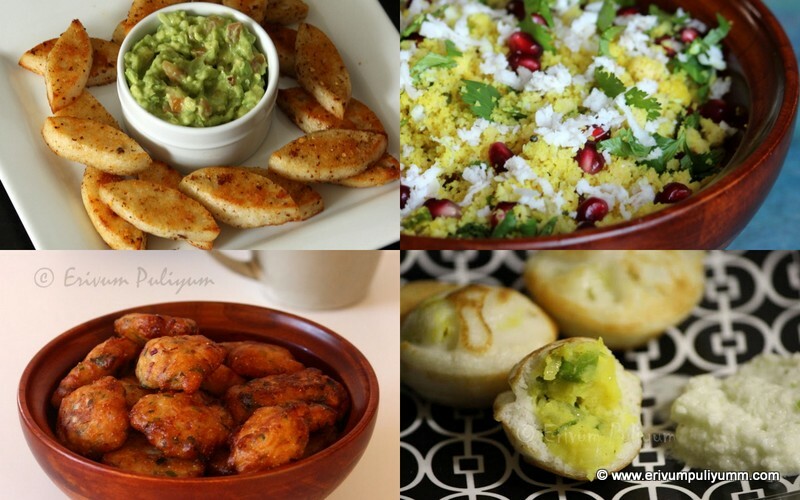 Visited ur page for the first time....loved the recipes. 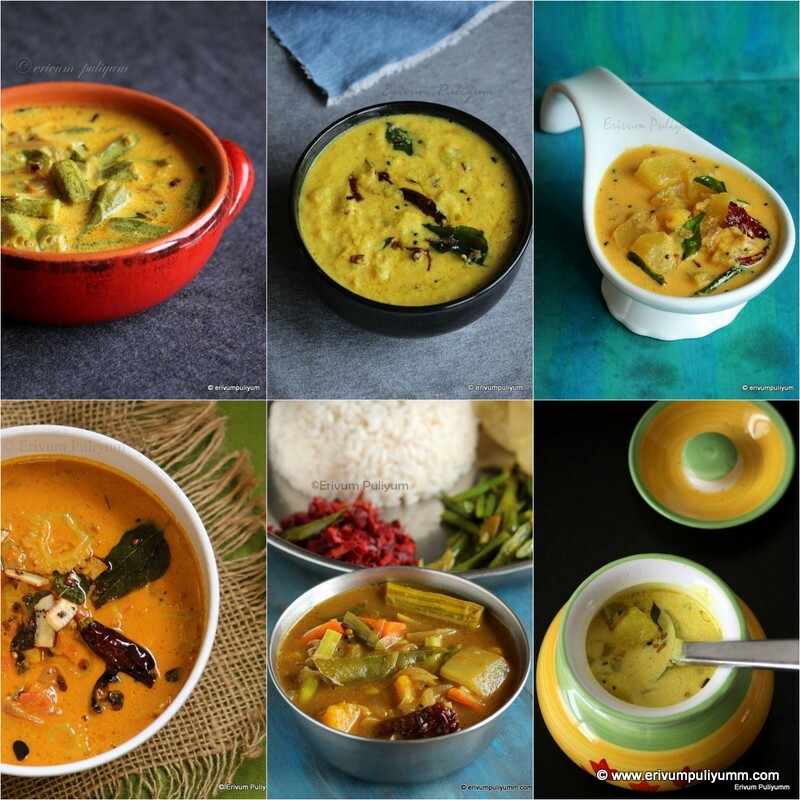 So unique and interesting... love the recipe! pass me some as I know I won't be doing all the hard work of pitting cherries..
innovative one..i want some fresh lassi:)..
Wont mind finishing a glass rite now. super idea .yummy yum cool.mouthwatering. And a fusion food coz this is not the traditional lassi! :) Would you like to send this to "Let's Party - Fusion Food" Event ongoing in my space till July 14th? Thanks! Thanks for the lovely entry dear..
What a great drink. Pretty photo. wow...perfect for the climate....lovely clicks too..